Dalton International is the institution with the authority to give schools the designation “International Dalton School”. Dalton International is an official foundation with members all over the world. The most important and international oriented Dalton schools in the world, work together in Dalton International, to protect the high standard of Dalton education. It is not allowed to use the name ‘Dalton’ without the permission of Dalton International or the official local Dalton Association. Official local Dalton Associations are present in Austria, Czech Republic, Germany, the Netherlands, Poland and Slovakia. Dalton International can assist schools in the process to become an official Dalton school. Normally, for a full approval Dalton International works out a two year process, with a maximum of three years. During that process a school has the right to use the name “Starting Dalton School”. It happens that a school started on own initiative a Dalton implementation process. To get the official status of ‘Dalton School’, it is possible to follow a customized programme in consultation with Dalton International. 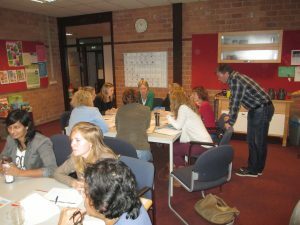 In the first year a school has to submit a development plan, stating how they plan to incorporate Dalton methods in their teaching including the training programme. After an intake with the staff of school, Dalton International will draft a training programme out of the available course offering. In the first year at least five different modules has to be followed by the teachers. Next to the Dalton training at own location, it is possible to follow a teaching practice period in one of the International Dalton schools. Extra modules can be followed during the teaching practice. At the end of the first year the school must submit a ‘Dalton Development Plan’ as guidline for the second year, and there will be an assessment of the teaching, class management and curriculum, providing advice on how to improve. The second year is a year of “self-activity”. This Dalton domain is not only important for children, but also for their teachers. The second part of the training (again five modules) is obligatory and will be based on the support of the “self-activity”. At the end of the year a committee of Dalton International will execute an audit. With a positive advice of the committee, the school will get the official designation “International Dalton School”. An official certificate will be the distinguishing mark of the new status of the school. After a successfull training by International Dalton Consultants, the school will also be invited as “Member of Dalton International”. After approval Dalton International or the local Dalton Association reassesses each school every four years, by checking curriculum, teaching and student achievement. A self-evaluation process is a main instrument in this procedure. At any time the name Dalton may be taken away after a negative re-assessment. Local Dalton Associations organize Dalton training courses for the official certificate ‘Dalton teacher’. 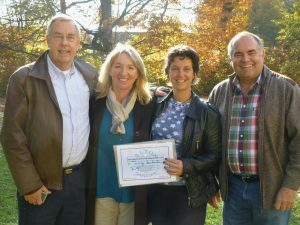 Here a group of teachers from different schools, with their certificate of the Dutch Dalton Associatioin. 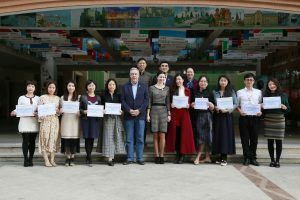 Also teachers who successfully complete official training courses of Dalton International, receive the certificate ‘International Dalton teacher’. 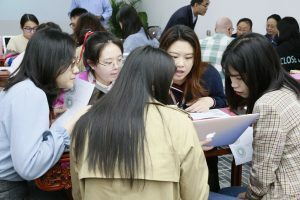 In addition, Dalton International can give training to teachers who like to do research into Dalton methods and curriculum, in order to be a future Dalton Consultant. Membership of Dalton International provides the following. – Schools may attend all Dalton conferences and activities at a lower cost than those of non-Dalton International members. – Access to all other members of Dalton International for cooperation. – Reduction of the fee by invitation of Dalton experts. The membership of Dalton International is free of charge. Dalton International can nominate schools for the designation of ‘International Dalton School’. A national Dalton association can be founded by a group of International Dalton schools or at least three national or international Dalton experts from different institutes in cooperation with Dalton International. The first three years the national Dalton association has to be supported by an international committee of Dalton experts, nominated by Dalton International. The national Dalton association has to draw up the by-laws. The national Dalton association can nominate schools for the designation of ‘Dalton school’. The first five national designations ‘Dalton school’ can be granted after an audit by a committee of national Dalton experts and one or more representatives of Dalton International. Later the national Dalton Association is responsible for the procedure. Audits can only be executed if schools have followed the procedure as written under ‘’Nominating Dalton schools’. This procedure has to be supported by the national school inspection and must be integrated in the national inspection procedure. In case no official Dalton Association is initiated in a country within Europe or in one other country, the local initiative/institution has to make a mutual contract with Dalton International. The following points has to be written in the contract and has to be signed from both sides. An annual financial contribution for structural cooperation between the institute and Dalton International will have to be laid down in an agreement of cooperation. Using the, international highly recognizable brand “Dalton International”, has to be rewarded by subsidizing our foundation. On-site process support through work consultations and advice, workshops and training, providing specific Dalton material etc., takes place based on a fixed contract for each activity. The Dalton expertise will be provided by International Dalton Consultants. Dalton International is responsible for the training of local Dalton Consultants. A study program, based on local educational requirements and demands, will be established in joint consultations. Initiators/institutes starting with a Dalton implementation process will organize an annual International Dalton Conference in cooperation with Dalton International, like it is happening in several countries in Europe once a year. International Dalton Consultants are invited to provide seminars and workshops during such a yearly Dalton Conference. Representatives from institutions who initiated a new Dalton development will be invited to participate in the yearly International Dalton Conference in Europe.